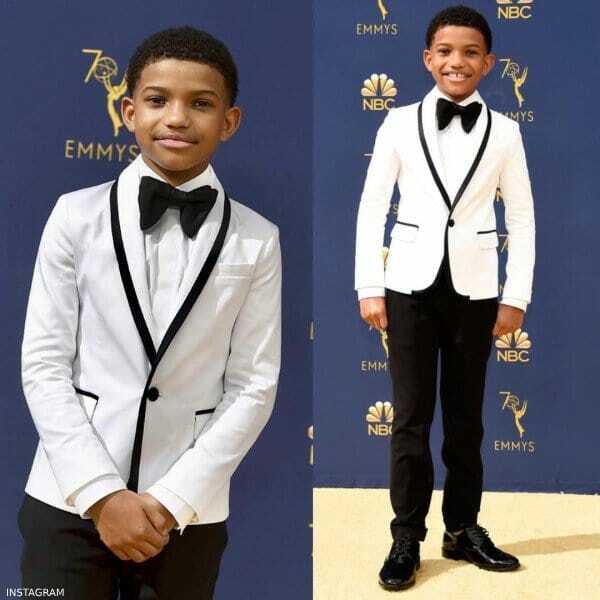 10-year-old Actor Lonnie Chavis from NBC’s “This Is Us” was spotted on the red carpet wearing this handsome special occasion look by Dsquared2 Kids at the 2018 Emmy Awards. Inspired by the Dsquared2 Men’s Collection, this boys bright white cotton dinner jacket made in a smooth soft sateen with a bit of stretch for comfort has a contrasting collar, pocket piping and covered buttons in a deep black satin. It is fully lined with a soft cotton shirting in the body and silky soft lining in the sleeves and for a bit of fun, one buttonhole on each sleeve is left un-cut leaving the buttons undone. Looks great with a pair of black dress pants, a button-down shirt, and thin necktie. 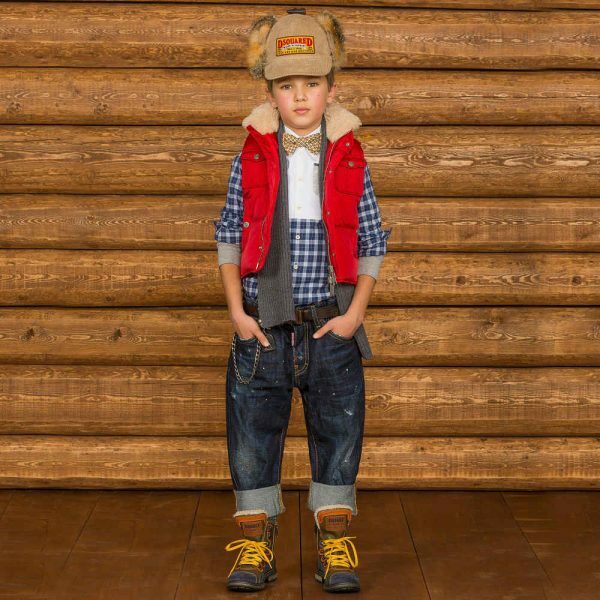 Adorable Mini-Me Look Inspired by the DSquared2 Men’s Collection featured on the runway at Milan Fashion Week. Shop a variety of streetwear looks in Dsquared2 Boys Mini-Me collection online. Photo Source: Instagram.